Marco Brizzi, PhD, is architecture critic and curator. He has been teaching at California State University – Florence Program, at Università La Sapienza in Rome, at the University in Florence, at the University in Ferrara, at NABA (Nuova Accademia di Belle Arti) in Milan and at IN/ARCH Istituto Nazionale di Architettura in Rome. Founder and president of Image (www.image-web.org), a company whose aim is enhancing the design discourse by promoting a wider knowledge of media issues in architecture, he curates BEYOND MEDIA (www.beyondmedia.it), international Festival for Architecture and Media, an event promoted by the Italian Ministry of Culture, the Municipality of Florence, and the University of Florence. The festival has been observing since 1997 in Florence the relations that exist between architecture and media. He is the editor-in-chief at The Architecture Player (www.architectureplayer.com), a place to disclose new architecture stories, through video. 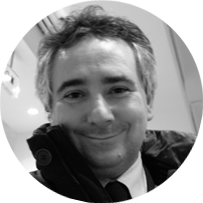 He has been for 16 years director of ARCH’IT (www.architettura.it), online architectural magazine founded in 1995: the first and one of the most widely read Italian digital magazine on architecture. Marco Brizzi received prestigious acknowledgements. He has been appointed as a juror in competition and prize juries, in Italy and abroad. He is advisor for the Mies van der Rohe Award. As director of ARCH’IT he was finalist for the Golden Medal to architectural criticism awarded by the Triennale di Milano. – Marco Brizzi, “In un continuum denso di dilagante complessità”, in L’invisibile linea rossa (Quodlibet, 2010). – Marco Brizzi, Paola Giaconia, SCRIPT (Editrice Compositori, 2009). – Marco Brizzi, Paola Giaconia, VISIONS (Image PUBLISHING, 2009). – Marco Brizzi, Rotte Metropolitane. Firenze è sommersa (Maschietto Editore, 2009). – Marco Brizzi, SNAKE SPACE. NIO architecten (Mandragora, 2005). Marco Brizzi, “La pubblica intimità dell’immagine digitale”, in Architettura e cultura digitale (Skira, 2003).